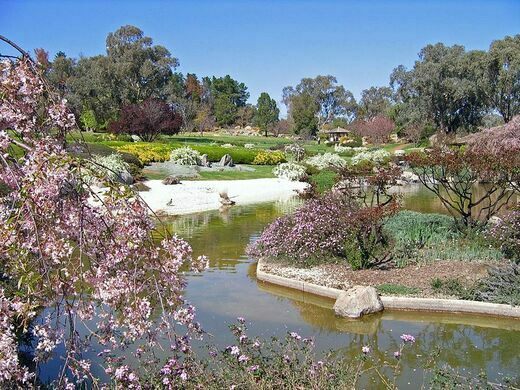 Designed by Ken Nakajima, a world-renowned designer of Japanese gardens at the time of its construction, the Japanese War Cemetery and Garden in Cowra, New South Wales, Australia, were opened in 1979. The second stage of development was completed seven years later, in 1986. A seven-year development project didn’t seem very long as it had taken eight years for the first stage to open after the Cowra Tourism Development decided to celebrate the town’s link to Japan. Roadside attraction outside of a recycling center. 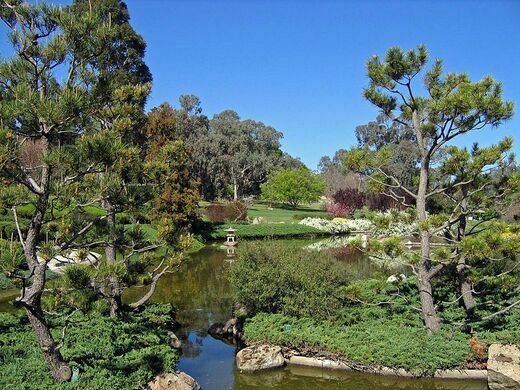 With funding from the Australian government and several private entities, the Japanese War Cemetery and Garden was a lavish undertaking. 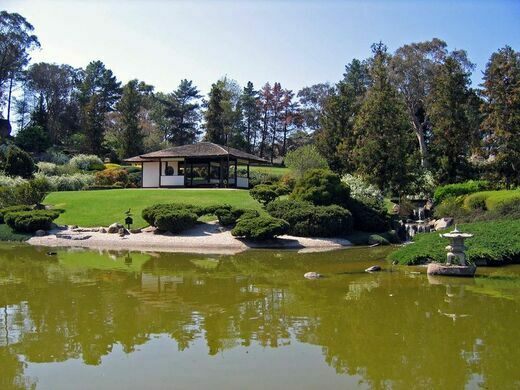 They were designed in the style of the Edo period and meant to function as any strolling garden. The landscapes that one encounters when wandering the paths showcase all of the different types of natural environments found in Japan. 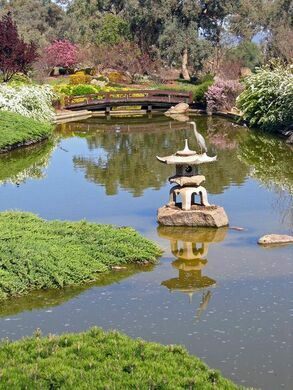 There’s plenty of room for that: At about 12 acres, the Cowra Japanese Garden is the largest of its kind anywhere in the Southern Hemisphere. During World War II, the prisoner of war camp near Cowra was the site of the Cowra Breakout, one of the largest prison escapes of the war. On August 5, 1944, a tip from an informer led authorities to plan a move of all the POWs to another camp. The night after the Japanese prisoners were notified that they would be moved, a breakout involving more than 500 people was executed. During the breakout, hundreds of Japanese were killed and another 108 prisoners wounded. Several Australian soldiers were also killed in the planned escape. Many of those who did escape committed suicide or were killed by their countrymen to avoid recapture. Everybody else was recaptured within ten days. The cemetery holds more than 520 Japanese who were killed between 1939 and 1945. More than two dozen of the bodies have never been identified. The Cowra Council maintains an online list of all the Japanese military personnel who died in Cowra either from the Cowra Breakout or other causes during their period of captivity in the area. The list also includes all of the Japanese personnel who died at other locations throughout Australia during World War II. Many of these additional names are of those who perished when their planes were shot down over northern Australia. Hopefully inspecting his tin pan for little nuggets of gold.